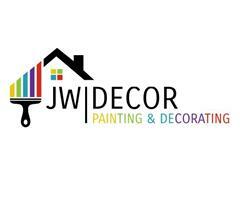 JW Decor - Painter/Decorator, Tiler - Tiling based in Hednesford, Staffordshire. Hi, my name is Josh Warner and I am a fully trained and insured Painter and Decorator based in Hednesford, Cannock. My services include internal/external decorating and paper hanging etc. I have been in the trade for 9 years and take great pride in my work. I like to ensure my customers are 100% satisfied with the job before I leave. Paying attention to detail is important to me and to make sure that the work is finished to a high standard. Please feel free to contact me for a free quote and have a look at my galley to view some of the work I've completed.